Only a few months after a failed “independence referendum” which saw the Iraqi government reassert its control over the Kurdish areas, the KRG is doing what surprises absolutely no one who is familiar with the situation on the ground – it is launching a massive crackdown on protests and dissent. Heavy protests against the Kurdish Regional Government (KRG) in Iraqi Kurdistan have entered their fourth consecutive day, as hundreds of protesters have clashed with security units all over the region. The demonstrations, demanding the resignation of notoriously corrupt politicians in the Kurdish regional administration, have been met with fierce violence by KRG forces, resulting in several casualties on Tuesday. Extra reinforces were deployed to the city of Suleymaniyah on Wednesday to crack down on the protests. Over 20 officers of KRG political party and a town hall have been set ablaze according to reports. The protests broke out on Monday, out of frustration with the rapid deterioration of basic services in the region, all-pervasive corruption in the regional government and the lack of salary payment for public service workers, with some teachers and hospital workers complaining they haven’t been properly paid in years. A recent article in the Omaha World Herald paints a dire picture for Nebraska farmers and for the farming community in the rest of the country as well. As reports of economic improvement – despite real metrics – continue to be paraded about in the media, America’s farmers are facing extinction. Family farmers in the traditional sense are all but gone and what’s left is Big Ag who holds farmers under its control at the barrel of a gun and produces toxic non-food items for consumption. The United States has been in a depression for well over a decade but it has been in a farming crisis for almost forty years. Farmers clean up their equipment after harvest each year. This year, some are also polishing their résumés. The situation facing corn and soybean growers has southeast Nebraska farmer Steve Sugden looking for an off-farm job to help support his family. That includes his wife, a schoolteacher; his daughter, a University of Nebraska junior; and twin sons, freshmen in high school. Austria is one step closer to banning glyphosate at the national level. The Austrian People’s Party and the Freedom Party of Austria have both announced that they are seeking a national ban on the active ingredient in the world’s most ubiquitous herbicides. This is significant because the two parties are about to form a new government in Austria. Sebastian Kurz, the future Austrian Chancellor, has stated that he wants to phase out glyphosate of the entire country. Environmental organizations are praising the move as Kurz has also stated that he wants to orient Austria to France and Italy which also is witnessing a movement to ban glyphosate at the national level. At the state level, Carinthia and Tyrol are looking at banning the herbicide. After making a surprise visit to Syria on Monday, Russian President Vladimir Putin announced a partial withdrawal of Russian troops from the country, adding that their task has largely been completed. Putin was welcomed by Syrian President Bashar al-Assad at the Russian Hmeimim airbase, both men smiling and embracing at the meeting. "On the whole the task has been completed. And completed brilliantly," he said. Last month, Putin stated that the efforts to end the war were leaving the military stage to the diplomatic one, focusing more on political reforms and negotiations than military action. While corporate mainstream media outlets and Big Pharma have attempted to hide and silence criticism of vaccines as crazy, anti science, and even Russian propaganda, recent research has managed to cut through the haze of disinformation peddled by these outlets. Indeed, even propaganda outfits like the Daily Mail have been forced to acknowledge Dr. Chris Exley’s new research. ‘Perhaps we now have the link between vaccination and autism spectrum disorder (ASD), the link being the inclusion of an aluminium adjuvant in the vaccine,” said Professor Chris Exley from Keele University. His study revealed that autistic children have up to ten times more metal in their brains than the levels of what is considered safe adults. The research also points out that aluminum crosses the membrane that separates the blood and brain and that it accumulates in cells that are necessarily involved in maintaining a constant internal existence, i.e. temperature. 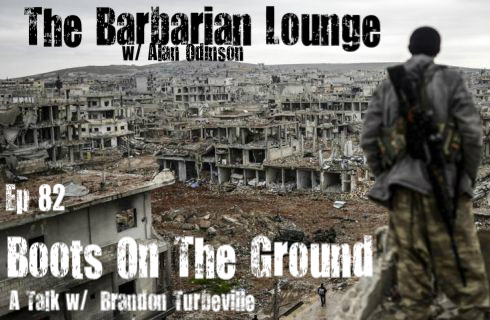 On this broadcast of The Barbarian Lounge, we will be interviewing a good friend of mine Brandon Turbeville. We will be discussing the Syrian Conflict from a “boots on the ground ” approach. Brandon has been reporting on Syria since the beginning of the conflict and has traveled there multiple times to give us the TRUTH regarding this entire issue. Yes, my friends, the mainstream media has been lying to you! Learn why this effects the refugee issue, the rise of ISIS, US government funding of Islamic extremists, the truth about the “dictator” Assad and MUCH MORE! We will also get into an article that is posted on our website regarding how groups of Marxist from the US are being trained by these very same extremists in Syria! You DO NOT want to miss this show! Trust me, fellow barbarians, the threat is real! Ever since the Western corporate media began pimping the White Helmets as the “heroes of the Syrian crisis,” lavishing praise upon them, and even giving them film awards for some of the cheesiest filmmaking in the business, the alternative media has been consistently exposing the terrorist organization for being a propaganda wing of al-Nusra Front. Since the very beginning, Vanessa Beeley has been the tip of the spear in deconstructing the myth of the White Helmets, having traveled to Syria on multiple occasions, taking photos, conducting interviews and investigations that have revealed beyond a reasonable doubt that the White Helmets are indeed terrorists and, more specifically, aligned with al-Nusra Front. I, myself, have also traveled to Syria in October, 2017 and have seen clear evidence of the same. After repeated videos of sectarianism, the fact that White Helmets only treat terrorists, that they literally operate out of the same complexes, faked videos, faked terrorist attacks, complicity in executions, sectarianism, and openly carrying weapons, the myth of the White Helmets has been busted time and time again. A new investigative report, however, will go even further in busting the myth, since it has provided proof that at least 65 White Helmets members have social media accounts that espouse loyalty to terrorist groups, claim membership, or express sympathy with terrorist organizations such as ISIS, Jobhat al-Nusra, Jund al-Aqsa, Ahrar al-Sham, and/or Jaish al-Islam. The United States has become a laughing stock of the world as a result of its decent into neo-McCarthyism and anti-Russian hysteria. From blaming Russia and Vladimir Putin personally for hacking American elections, making Hillary Clinton lose the election, trying to establish a Fourth Reich, invading Syria and Ukraine, arming North Korea and creating an army of scary alt-right white supremacist Nazis waiting to take over the government and burn down the country. Russia and Putin have now taken the place of Al Qaeda and ISIS as the great bogeyman in place to scare Americans into doing whatever they’re told. Europe also has fallen in line with the American insanity proving that the virus of cultural disintegration travels both ways across the Atlantic. But now England is attempting to leapfrog the United States in terms of the most ridiculous anti-Russian propaganda possible. This time, it is being reported by The Mirror that Russian cyber units at the behest of Vladimir Putin himself are hard at work propagandizing and attempting to convince people in Britain not to get vaccinated. Russian cyber units are spreading false information about flu and measles jabs in the UK, experts warn. Despite the best efforts of State Department/Soros-funded Reporters Without Borders, the Swiss Press Club refused to cave to RWB’s grandstanding, threats, and bullying and the event surrounding the truth about the White Helmets continued as scheduled. Rather than attend the event to ask questions and present its side of the argument, RWB responded with insults and hid away under the guise of boycotting the panel. Pouting in the corner and refusing to take part in the discussion, however, did not stop the discussion from taking place. Today at the Swiss Press Club in Geneva, 21st Century Wire Associate Editor Vanessa Beeley(pictured above) presented a dossier on the dubious UK-backed NGO known as the ‘White Helmets’ which included up-to-date information on their links to al Qaeda affiliates in Syria, as well as exposing the western propaganda organisation’s many bogus claims, including having ‘saved 99,220 lives‘ since the western-funded construct based in Turkey was created in late 2013. Self-proclaimed “press freedom watchdog” Reporters Without Borders launched a new campaign that it deemed of urgent importance – shutting down a short panel discussion by journalist Vanessa Beeley and Swedish Doctors for Human Rights. The event was entitled “’They don’t care about us: About White Helmets True Agenda,’” where Vanessa Beeley, who has reported extensively from inside Syria would present alongside fellow panel members Richard Labeviere’ and Marcello Ferranda De Noli editor of the Proche et Moyen Orient and Swedish Doctors For Human Rights respectively were scheduled to present. As the title suggests, the event was merely a platform to discuss the possibility that the reputation of the White Helmets in Western countries may be different from the reality on the ground. Beeley was included not only because of her expertise in terms of research but also because of her extensive on-the-ground experience in Syria, her length of time in country, and her numerous interviews and investigative reports from Syria itself. It is well-known to anyone who spends even the smallest amount of time researching the Syrian conflict that the United States and Britain have been providing support to not only the White Helmets but also to terrorist groups such as al-Nusra, ISIS, and al-Qaeda among others. Indeed, ample evidence shows that the White Helmets are nothing more than a support group for al-Nusra, essentially acting as a propaganda wing of the organization. In other words, it is evident enough to anyone who examines the situation closely that the White Helmets and Nusra are the same organization. I also traveled to Syria in October, 2017 and was able to get a look at the East Aleppo al-Nusra Front compound for myself. Although Beeley's images and video are damning, there is nothing like being in the compound yourself to really get a grasp for just how interconnected these two groups are with one another. As I stood in the courtyard of the East Aleppo al-Nusra Front headquarters (formerly a school compound occupied by terrorists in hopes of using the facility as cover and great PR if ever it was to be bombed), I was struck by just how obvious it was that the White Helmets and al-Nusra were the same organization. Despite the facility being widely recognized as the al-Nusra headquarters, once can easily see the White Helmets logo which is prominently painted along the longest side of the building adjacent to the al-Nusra building. The two buildings are so close that two children - one standing in the White Helmets courtyard and one standing in the Nusra courtyard - could play catch without trouble. Two days after Turkish Foreign Minister Mevlut Cavusoglu stated that U.S. President Donald Trump had promised to end American weapons shipments and support to Kurdish fanatics fighting in Syria, the United States military has been videotaped doing just that. “The U.S. military was filmed on Monday delivering more than 100 Humvees to the Kurdish-led Syrian Democratic Forces (SDF) in northern Syria,” writes Leith Fadel of al-Masdar News. Cavusoglu stated explicitly that Donald Trump told Turkish President Erdogan that the United States was soon going to end weapons shipments to the YPG. “Mr. Trump clearly stated that he had given clear instructions, and that the YPG won’t be given arms and that this nonsense should have ended a long time ago,” the Associated Press quoted Cavusoglu as saying. Initially, the administration’s national security team appeared surprised by the Turks’ announcement and uncertain what to say about it. The State Department referred questions to the White House, and hours passed with no confirmation from the National Security Council. As I traveled throughout Syria during the early half of October, there were many recurring themes. I heard repeatedly of support for the government, how things were so much better before America's "revolutionaries" entered the country, atrocities committed by America's terrorists, and of course stories of finding the best in people and life in general amidst such horrors. To anyone who pays even slight attention to the situation in Syria, it is clear that the corporate western press is not only misrepresenting the crisis but that it is also making up entirely false claims in order to push a particular pro-intervention narrative. Yet it is not only the editing room and the Deep State that issues such propaganda but many of the individual journalists themselves who are completely bought and sold to the agenda eminating from those rooms. Despite the claims of the pro-war media, the Syrian who support their government in this crisis (which is virtually every Syrian) do not demand total worship and unquestioning reporting from foreign media outlets. Indeed, I kept hearing from these Syrians that, if I saw something wrong in their country, I should feel free to write about it. The only concern with what I and others were writing was whether or not it was true. These are the sounds the people of Damascus have heard for over six years. Not just the sounds of course. Along with the sounds came the ripped bodies of loved ones and neighbors. The destroyed homes, schools, businesses. The frayed nerves of constant fear. The kind of terrorism that kills people from the inside. Yet they all keep going somehow, they don't stop going to work or school. They just want this to end. I've been listening to these sounds for seven weeks and I want them to end for them soon too inshallah….. If recent developments are anything to go by, the United States government could be slaughtering 90,000 wild horses at the behest of the livestock lobby. Pro-slaughter proponents argue that the population of the horses is too large. Opponents, however, point out that 80% of BLM land grazed by livestock has no wild horses on it at all. Still, livestock industry groups are lobbying for the killing and slaughter of wild horses and burros and the U.S. government is showing signs that it is preparing to do just that. As the world focuses on isolated incidents of terrorism taking place in Western countries, the wholesale slaughter being committed by Western countries against others generally goes unnoticed unless being pinned on the victim nation. However, even with Americans and other Westerners paying scant attention to Iraq and Syria, the conflict in Yemen scarcely gets a mention except in communities of human rights activists and geopolitical commentators. Even after Yemen has overtaken Syria as the world’s greatest humanitarian crisis, most of the world has remained deathly silent about the situation unfolding there. More than 50,000 Yemeni children are likely to die by the end of the year as a result of disease and starvation caused by the stalemated war in the country, Save the Children has warned. Humanitarian groups estimate that around 130 children are dying each day in the Arab world’s poorest country as it grapples with famine and the largest cholera outbreak in modern history. Netanyahu urged the “international community” to act to “contain” Iran but pointed out that Israel would not hesitate to act alone. “If we stand together we will achieve it,” he said. “But if we have to – we'll stand alone. Iran will not get nuclear weapons. It will not turn Syria into a military base against Israel." To no one's surprise, the U.S. government, after hysterically declaring a "national emergency" over America's opioid crisis, is once again setting its sights on Kratom, the non-addictive natural plant that has helped thousands of Americans wean themselves off opioids. In 2015, the DEA announced its plans to place Kratom on the list of Controlled Substances (in the same scheduling level as heroin to be exact) but, amid public outcry, the agency backed off, deferring to FDA "review" and "advice." Many optimistic Kratom activists were tempted to rest on their laurels, trusting that the FDA would prove to be more reasonable in relation to Kratom and hoping the testimonials, overwhelming public support for Kratom, and the science itself would win the day. As is typically the case in life, the optimists were sorely disappointed. The FDA, long known to be essentially run by Big Pharma, has now joined the ranks of the DEA (which also placed CBD oil on the list of controlled substances on the same level as heroin) in a scathing attack on Kratom, signalling that the end may be nigh for the miracle plant if activists do not succeed in fighting back both behemoth agencies who act as the enforcement arms of Big Pharma, the private prison industry, and the police state. The Food and Drug Administration issued a strong warning Tuesday to consumers to stay away from the herbal supplement kratom, saying regulators are aware of 36 deaths linked to products containing the substance. Is The SB277 Vaccine Law Causing LA Schools' Numbers To Drop? Attendance in the Los Angeles Unified School District is dropping by relatively dramatic numbers and some are suggesting the reason is the SB 277 law recently passed in California removing exemptions to vaccines for all school children. School Districts are, as one might suspect, more worried about how this reduction affects the bottom line. The difference means there will be $17 million less in the 2018-19 budget, and an additional $18 million less in the 2019-20 budget, according to a superintendent’s reportto be presented to the school board Tuesday. After years of obvious collusion between the United States and ISIS, the U.S. continues to deny that America created and/or supports the terror organization in any way. But there is one story regarding the cooperation between the U.S. and ISIS so glaringly obvious that even the BBC couldn’t avoid addressing the issue. In the article entitled “Raqqa’s Dirty Secret,” Quentin Sommerville and Riam Dalati detail how an agreement was made between the SDF and ISIS with the oversight and support of the United States in which ISIS fighters would be ushered out of Raqqa where they were surrounded and funneled to safe locations within ISIS-held territory. It was, in effect, a massive operation to save ISIS from extermination in Raqqa while allowing the Arab/Kurdish terrorists in the SDF to take over the city before the Syrian military could reach it. The Syrian Democratic Forces (SDF), an alliance of Kurdish and Arab fighters opposed to IS, wanted him [truck driver Abu Fawzi] to lead a convoy that would take hundreds of families displaced by fighting from the town of Tabqa on the Euphrates river to a camp further north. For years, the United States government stuck to its nonsensical claim that the Syrian government was the only party in Syria using chemical weapons despite their being no evidence that the SAA has ever used such weapons. Finally, the State Department was forced to admit that ISIS had indeed used chemical weapons but it still stuck to the claim that, out of the anti-Syrian “rebel” forces, only ISIS was dastardly enough to use them. Now, however, a revised travel warning from the State Department’s own website has expanded the admission of Western-backed terrorists’ use of chemical weapons just a little further to include Jobhat al-Nusra, Jobhat Fatah al-Sham, and Hayat Tahrir al-Sham. Tactics of ISIS, Hayat Tahrir al-Sham, and other violent extremist groups include the use of suicide bombers, kidnapping, small and heavy arms, improvised explosive devices, and chemical weapons. They have targeted major city centers, road checkpoints, border crossings, government buildings, shopping areas, and open spaces, in Damascus, Aleppo, Hamah, Dara, Homs, Idlib, and Dayr al-Zawr provinces. These groups have murdered and kidnapped U.S. citizens, both for ransom and political purposes; in some instances U.S. citizens have disappeared within Syria. Because of the security situation in Syria, the U.S. government’s ability to help U.S. citizens kidnapped or taken hostage is very limited. As more and more scientific evidence regarding the dangers of Roundup, a weedkiller developed by Monsanto in the 1970s, is released, so too is public opinion beginning to shift away from a passive acceptance of the pervasive use of both Roundup and glyphosate. In this context a new study published in JAMA is garnering more and more attention. The study tracked people in Southern California over the age of 50 from 1993-96 to 2014-16, periodically collecting urine samples during that time. A team of researchers led by Paul Mills, Professor of Family Medicine and Public Health at the University of California, San Diego, discovered a 500% increase in the amount of people who tested positive for glyphosate during the course of the study. The levels themselves had spiked by 1208%. The level to which this study demonstrates harm to humans is unclear at this time. However, studies conducted on animals have been extremely concerning and the evidence pointing toward a connection between glyphosate and non-alcoholic fatty liver disease is solid. “From my perspective it’s remarkable that we’ve been ingesting a lot of this chemical over the last couple of decades,” says Mills. You can read Mills’s study “Excretion of the herbicide glyphosate in older adults between 1993 and 2016” HERE. In a typical obvious example of industry supported “science,” the journal Future Medicine has published a report in which it focuses not on science itself but on the notion of Fake News and how it applies to the perception and reception of stem cell research. The article and research was funded by the Stem Cell Network so it should come as no surprise that the entire paper was merely an advertisement for the industry and focused on how fake sites/alt media sites effect the bottom line. Interestingly enough, the study actually admits that the majority of the publications are representing stem cell research in a positive light, yet it still insultingly labels many alt media outlets as "fake news" and proceeds to fixate on the label. The future medicine article reads more like a CNN article whining about “fake news," Trump, and "Russians." Indeed, it has even more in common with CNN since its own article was paid for by the industry it is promoting as "science" much in the same way that CNN presents fake news as journalism. Normally, an article such as this would not warrant an article on this website. However, as one might guess by now, Natural Blaze was mentioned as one of the "fake news" sites making exaggerated claims about stem cell research. Ironically, the "study" cites a claim made by Natural Blaze that is apparently supposed to serve as an example of how the website is "fake news" and making unfair and inaccurate claims about the stem cell industry. The "sample" claim quoted by Future Medicine is " Thus, black pepper can increase the bioavailability of the cancer, inflammation and infection fighter, curcumin, up to two thousand percent." As Damascus residents are once again suffering under indiscriminate shelling and mortars launched by terrorists, it is important to once again draw attention to a recent secret document released by Edward Snowden showing that previous indiscriminate missile launches against civilians were entirely controlled and ordered by foreign powers like Saudi Arabia. These attacks were also known in advance by the United States which evidently had no qualms with them. A loosely knit collection of Syrian rebel fighters set up positions on March 18, 2013, and fired several barrages of rockets at targets in the heart of Damascus, Bashar al-Assad’s capital. The attack was a brazen show of force by rebels under the banner of the Free Syrian Army, targeting the presidential palace, Damascus International Airport, and a government security compound. It sent a chilling message to the regime about its increasingly shaky hold on the country, two years after an uprising against its rule began. Behind the attacks, the influence of a foreign power loomed. According to a top-secret National Security Agency document provided by whistleblower Edward Snowden, the March 2013 rocket attacks were directly ordered by a member of the Saudi royal family, Prince Salman bin Sultan, to help mark the second anniversary of the Syrian revolution. Salman had provided 120 tons of explosives and other weaponry to opposition forces, giving them instructions to “light up Damascus” and “flatten” the airport, the document, produced by U.S. government surveillance on Syrian opposition factions, shows. Shortly after the Saudi crackdown began and was followed up by the resignation of Lebanese president Saad Hariri, it was noted by many researchers and alt media journalists that Hariri’s bizarre method of vacating his post was influenced by Saudi Arabia for the purpose of weakening Hezbollah and Iran in Lebanon. In addition, I suggested in my previous article that it is highly unlikely that KSA would engage in such a dangerous and wide-reaching action without coordination with the United States and Israel. Documents have now been obtained and subsequently released by Israeli media outlets that reveal possible evidence of coordination and cooperation between Saudi Arabia and Israel as it relates to Iran and Hezbollah. 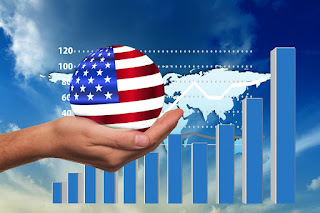 Over the past few days, a series of events have occurred which rocked the geopolitical scene and effecting a number of countries specifically such as Saudi Arabia, Lebanon, Yemen, and Iran. Naturally, the events that taking place in these locations are immensely important for the rest of the world and, for that reason, other regional and international players are being drawn into the drama as well. While it would be foolish to pretend to know all the details taking place behind the scenes, we are still able to analyze current events in order to attempt to gain a greater understanding of where the situation is heading and thus have a better understanding of how to respond to them. The article that follows is simply an attempt to point to the most logical conclusion regarding these events. Beginning the sequence of events that have now culminated with thinly veiled hints at actual war between at least three nations, the Saudi purge began with little warning and is continuing today. Essentially, under the guise of a massive anti-corruption push, the Saudi Crown Prince Mohammad bin Salman launched a campaign that saw a volley of arrests of officials, royal family members, government officials, and members of the Saudi military. At least eleven princes were arrested by security forces, including Prince Alwaleed bin Talal, a well-known billionaire investor, and four ministers, including the minister in charge of the National Guard. Several former ministers were also arrested. A highly suspicious helicopter crash that was carrying Saudi Prince Mansour bin Muqrin, deputy governor of Saudi Arabia’s southern Asir Province, along with seven other high ranking officials, should also be noted since all eight men were killed in the crash. “KSA has been responsible for creating the worst humanitarian disaster of the 21st century,” he said, in reference to Saudi military campaign against Yemen. It came after the Yemeni army targeted Saudi Arabia’s King Khalid international airport in Riyadh with a long distance Borkan H2 ballistic missile. Mr. Turbeville was asked to comment on the recent developments surrounding Saudi Arabia, including the sudden resignation of Lebanese Prime Minister Saad Hariri, the Saudi-led war with Yemen, the kingdon's anti-corruption move, and Palestinian Authority Mahmoud Abbas's trip to Riyadh. Brandon Turbeville's appearance on the Vin Armani Show - November 7, 2017 - Brandon's appearance begins around the 1:20 mark. Access the podcast link here and the Youtube video here. This week we welcome Brandon Turbeville to the show. He recently returned from an investigative trip to Syria and gives us his report from the aftermath of the Syrian Civil War. To listen to this podcast at your convenience, subscribe on iTunes or on Stitcher. It has long been known that Israel is acting in direct support of terrorists in Syria by virtue of routine aerial assaults, intelligence, and medical care. However, if there was any doubt regarding this support, recent video evidence should easily do away with that doubt entirely. On November 3, Israel acted in direct military support of Hay’at Tahrir al-Sham and the Free Syrian Army by providing artillery cover as the two terror groups assaulted the Syrian government held and predominately Druze town of Hader. The move was an attempt to break the siege of Beit Jinn, an area controlled by terrorists. On Friday morning, Hay’at Tahrir Al-Sham (HTS) and allied Free Syrian Army (FSA) factions based in the Golan Heights launched an assault on the government-held town of Hader amid a wider bid to reach and break the siege of the nearby Beit Jinn opposition pocket. With direct artillery support from the Israeli Defense Forces (IDF), jihadist fighters attacked the predominately Druze town of Hader from its western and northern axes at daybreak; although the clashes themselves are yet to halt, HTS has broken through the first line of defense set up by the Syrian Arab Army (SAA) and National Defence Forces (NDF). As the Islamic State breathes its last breath in Syria and Iraq and the Syrian government gradually regains control over its own territory from Western-backed terrorists, the question of Kurdistan has now become a topic of intense debate both in the mainstream and alternative media. Unfortunately, however, many in the alternative media are now repeating the same propaganda as that of the mainstream media as well as promoting Zionist and Western imperialist agendas, wittingly or not, in the process. Clearly, the MSM is not confused when it comes to the propaganda it pushes. However, confusion and the need for simplicity often tend to get the better of individuals less versed in certain topics. Unfortunately, that need for simplicity often is a perfect match for simplistic propaganda and thus that need for simplicity tends to become an echo of it. The question of Kurdistan is just the type of issue that, at face value, seems easy enough to understand but, in reality, has many more facets than simply a group of oppressed people who desire independence. This is, after all, the siren song of the Kurdish question, i.e. the idea that the Kurds are oppressed people, a monolithic nationality, and underdogs who deserve and should receive their own state. For two reasons, i.e. Western obsession with what they see as the underdog (which is virtually never the actual underdog) and certain branches of the alternative media’s penchant for anarchy in combination with simplistic analysis and observation may lead one to believe that the Kurds deserve an independent state. It is not the ideology of anarchy itself that is the problem here but the lack of proper insight into geopolitics that causes such an analytical handicap. Thus, we now have many alt media readers confused as to the legitimacy of a “Kurdistan” and the implications it would have for the region and the world.